True or False: China Will Be a Bigger Solar Market than the U.S.
Two Chinese companies have preliminary deals to build 2.3 gigawatts of solar projects for local governments in China. Will It surpass the U.S.? China, like the United States, seems ready to take off as a ravenous consumer of solar energy. Earlier this week, China's largest solar company, Suntech Power (NYSE: STP), said it had signed letters of intent to build four solar farms totaling 1.8 gigawatts for provincial and city governments in China. On Thursday, ReneSola (NYSE: SOL) said it, too, has signed letters of intent to build government-backed solar power projects. The two projects would total 505 megawatts and be located in two provinces. The announcements are the latest evidence that China is embracing renewable energy as part of its economic stimulus initiative. But opinions differ on whether the country would see a dramatic growth in the next few years. "Historically, China has made a lot of announcements that have not come to pass. They have affordability issues, and they have cheap coal and other problems to solve," Paula Mints, principal analyst of solar services at Navigant Consulting, said at Intersolar North America in San Francisco this week. "They aren't going to go from 25 to 50 megawatts, mostly off the grid, into a multi-gigawatt market in a few years." Craig Cornelius, managing director of Hudson Clean Energy Partners, sounded more hopeful. "It's amazing the level of rhetoric that come from government officials, companies and investors. They are emphatic that they will construct massive projects," said Cornelius at the conference. "There are data points showing they mean it more than they did the past. So we will see this time next year." China has committed to spending more than $30 billion for constructing renewable energy and other greentech projects, and solar is set to get a big piece of it. The government already has announced incentives for installing rooftop solar energy systems (see Confusion, Political Spat Emerge for China Solar Subsidies). The government is now finalizing another incentive program for solar, said Steve Chadima, vice president of external affairs at Suntech America. It's a feed-in tariff program, which would require utilities to buy solar energy at higher rates than the prices paid for electricity from coal-fired power plants. 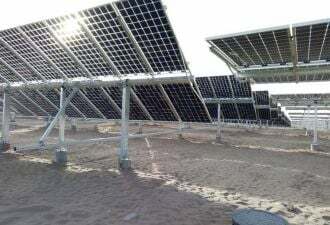 The program would apply to ground-mounted solar energy systems. In fact, Suntech is waiting for the government to settle on the tariffs, or the solar energy prices, which would help the company determine the feasibility of carrying out the 1.8 gigawatts of ground-mounted projects, Chadima said. The government agency in charge of creating the program, National Development and Reform Commission (NDRC), tossed out 1.09 RMB per kilowatt hour ($0.15) as a possible price at one point. But that would be too low for projects that are scheduled for installation within a year and half, Chadima said. Suntech hopes the rates would be around 1.2 RMB to 1.3 RMB per kilowatt hour ($0.19), Chadima said. The NDRC also has said that feed in tariffs could be higher on the coast and lower inland in order to encourage more installations in the less-sunny coastal region, Chadima said. Suntech plans to line up financing from local Chinese investors for these projects, he added. Chadima declined to disclose the costs of the developing the projects. The agreements Suntech has signed are not binding, and the company would need to negotiate for formal contracts. 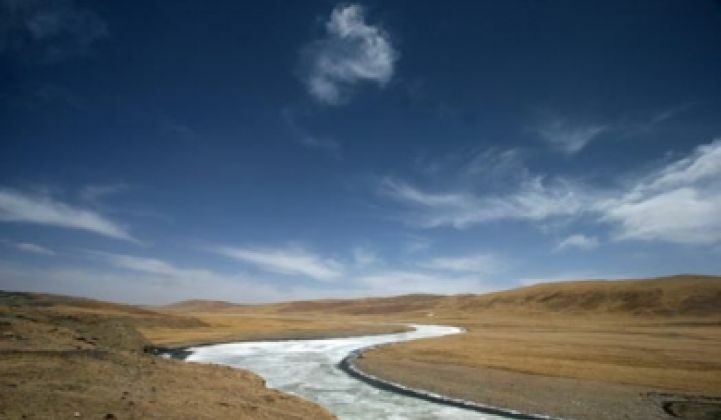 If it proceeds as planned for now, it would be building projects for the Shaanxi provincial government, Shizuishan city government (Ningxia province), Qinghai provincial government and Panzhihua city government (Sichuan province). Suntech, which also makes solar panels, would carry the projects out in phases. The plan is to start installing in 2010 and complete them by the end of 2012, Chadima said. Renesola, which makes silicon wafers for making solar cells, said its letters of intent call for building a 500-megawatt solar farm for Yancheng city government, and a 5-megawatt rooftop project for the Panzhihua east district government in Sichuan province. The 500-megawatt project would be built over a six-year period and involve 490 megawatts on the ground and 10 megawatts on rooftops, the company said. "China is going to be a growth market, but it's more of a 2011 story," said Vishal Shah, senior analyst with Barclays Capital. "The U.S. will be a more important market, especially in the commercial segment." "China seems serious about renewable energy, but it remains to be seen about transmission and incentives for their projects," Shah added.